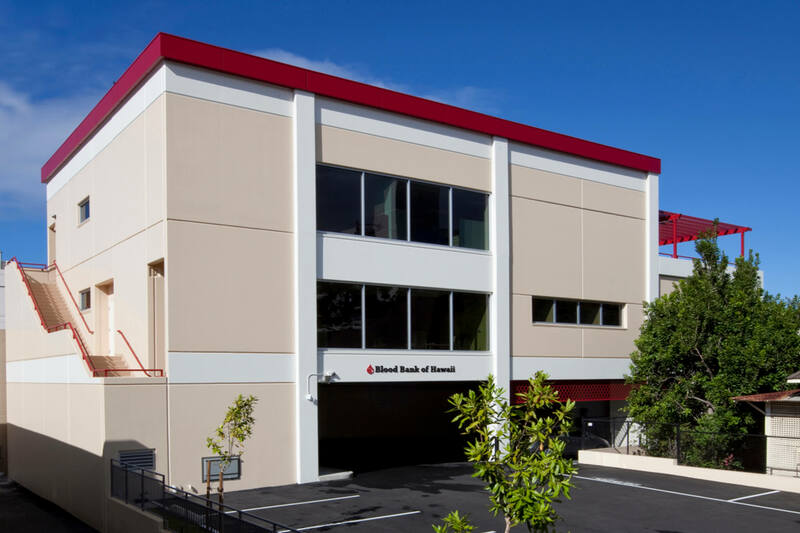 The relocation of the Blood Bank of Hawai‘i’s Donor Facility and Laboratory was provided the opportunity to synergistically reorganize and focus the facility. 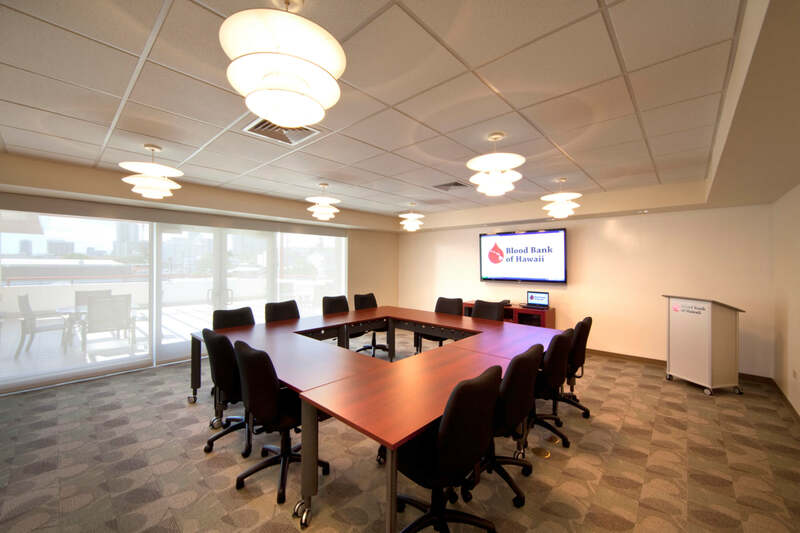 The Blood Donor Floor has high ceilings with colorfulaccent panels and the use of natural light through glazing and finishes to create a warm, comfortable ambiance for donors and staff. 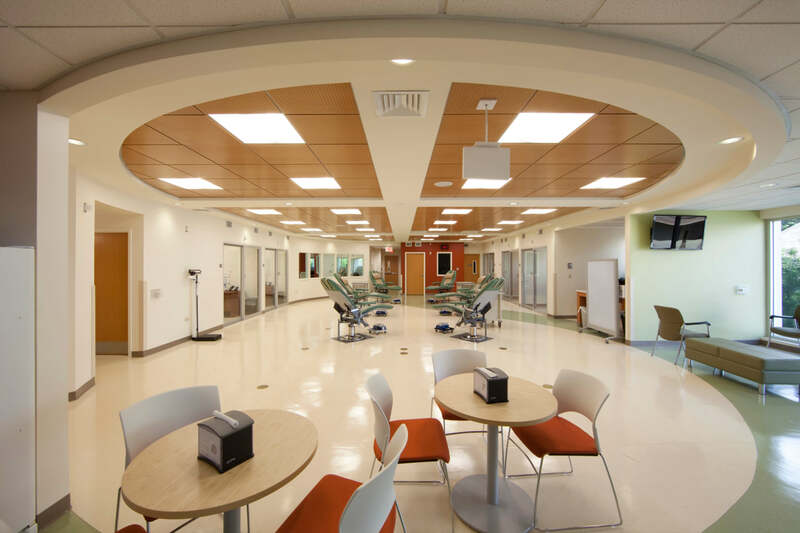 The Floor is alsoorganized in a ‘pod system’ and groups six donor chairs around a central equipment station with designated staff members assigned to each pod. 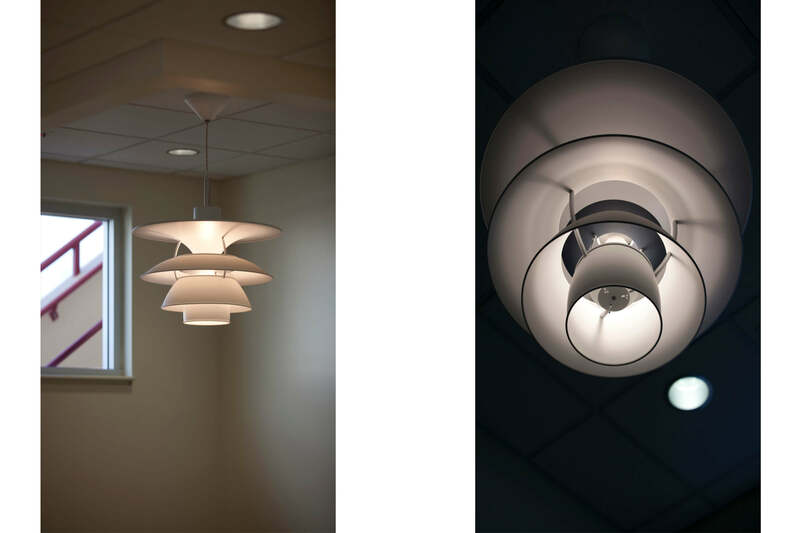 The design team accounted for a functional flow between Automated Registration, Waiting Room, History Room, the Blood Donor Floor and the Cantina in order to maximize space and efficiency within the new facility. The exterior of the building uses form and color to gain street-side visibility.